Batman & Robin try to keep their relationship together even as they must stop Mr. Freeze and Poison Ivy from freezing Gotham City. 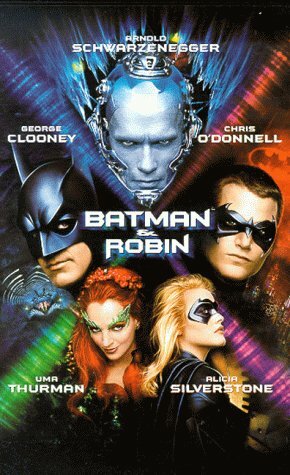 This is by far the worst Batman movie ever made. Despite featuring one of my favorite actors, George Clooney, this really is not a good movie. The writing is bad, the effect are poor and most of the acting is downright horrible. The slap stick humour is so bad you involuntarily curl your toes. Portraying Bane as a complete juiced up retard is an offence, in my opinion. If you cannot even get the basics of the characters right, you should not make a tie-in movie. You should only watch this Batman movie, if you have watched all the others and want to complete the collection. If you are new to Batman, forget that you ever heard of this particular instalment of the series! Go watch something else.